The Tibetan Terrier temperament is perfect for people looking for a medium-size dog that is calm, yet playful and lively. In spite of the name, the Tibetan Terrier is not a terrier although it does resemble members of the terrier group. Tibetan Terriers, known as the “Holy Dog of Tibet,” have a very long history and are valued as pets today. Tibetan Terriers are descended from ancient breeds and Tibet’s geographic isolation kept them purebred for more than 2,000 years. The Buddhist monks who raised Tibetan Terriers thousands of years ago believed that they brought good fortune. These monks considered them holy and gave them away as good luck gifts. The dogs were used for herding and they were prized as companions and watchdogs. If you considering a Tibetan Terrier, you should be prepared for an energetic and strong dog that needs regular exercise. The Tibetan Terrier temperament is clever and determined. In fact, they can be downright stubborn at times so early training is recommended. They can suffer from separation anxiety if left alone, therefore, it is best if someone is home with them most of the time. 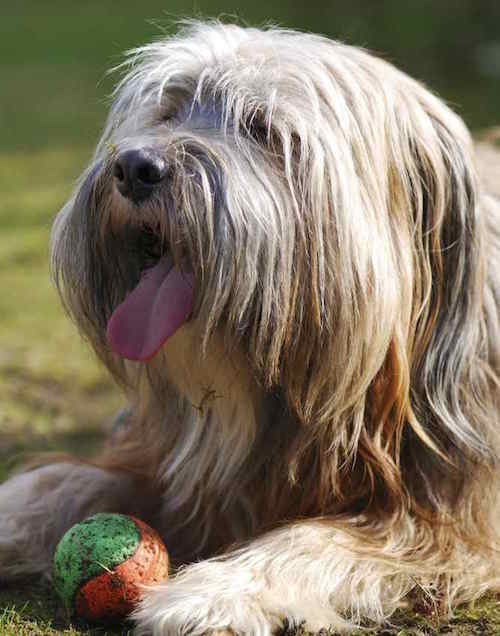 The loving, gentle and loyal Tibetan Terrier temperament makes them the desired family pet. They are not aggressive with strangers but can be reserved around people they don’t know. Tibetan Terriers usually get along with other pets in the house and they are valued for their companionship and affectionate nature. 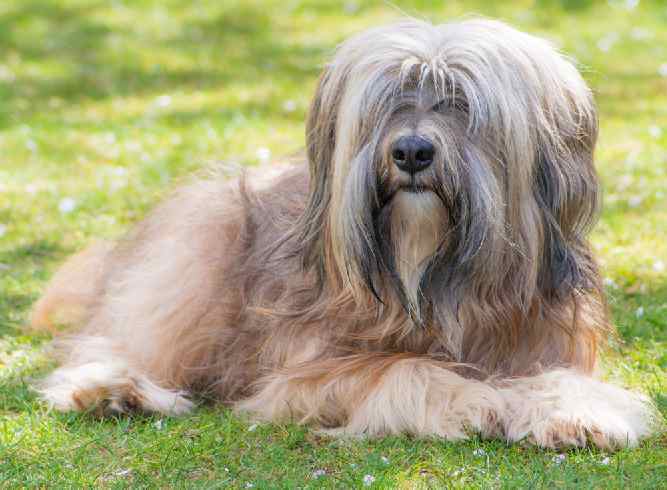 Tibetan Terrier dog breeds are intelligent and take well to training if done right. Use only positive training methods like affection, play and treats to teach the dog obedience. When they are in training, give the dog a treat as a reward for achieving an objective. 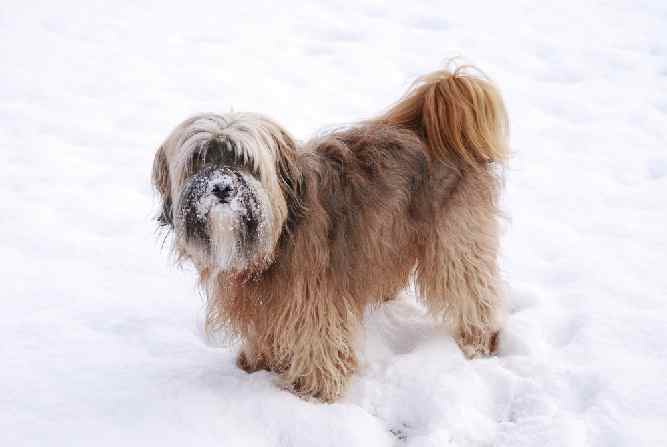 Negative training methods do not usually work with Tibetan Terrier dog breeds. You can avoid their natural suspiciousness of strangers and stubbornness with proper consistent training. Check out our Free Resources section for lots of great training programs for your Tibetan Terrier. The average lifespan of a Tibetan Terrier is 15-16 years, according to the American Kennel Club. They are generally a healthy breed, but geriatric heart murmurs, cataracts and cancer are seen in older dogs. Bladder stones and Thyroid problems. Note: if you agree that your health and your dog's health should be a top priority then get a copy of The Ultimate Guide to Dog Health. Your Tibetan Terrier friend will love you for it. 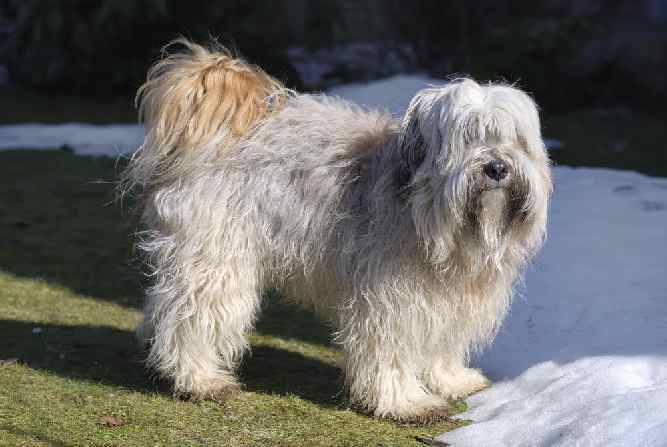 The Tibetan Terrier has a shaggy coat with an undercoat of wool that acts as insulation and is resistant to moisture. A puppy cut may be advisable to allow the dog to enjoy outdoor activities. However, if you keep the coat long you have the opportunity to groom your dog and strengthen the bond between you. Tibetan Terriers are an energetic breed with a drive for exercise, some more than others. They will do well in smaller condos and apartments with daily exercise. They enjoy walks and like exercising outdoors with their owners. Use a high-quality diet of homemade or commercial dog food that provides for nutritional needs. Protein should be the first ingredient on the label in commercial dog food. Looking for a puppy? 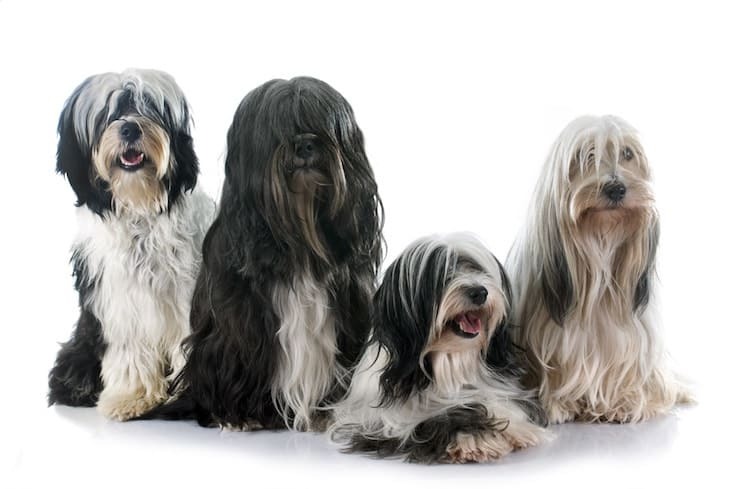 You can pay top dollar at an AKC certified breeder who specializes in Tibetan Terriers. You can also go online to find rescue Tibetan Terriers puppies and adult dogs up for adoption. This breed is in high demand. So be prepared to put your name on a waiting list. Tibetan Terrier puppies for sale can be located online through sources like Puppy Find. This site offers a convenient means to select a puppy through photographs and detailed descriptions. The price of a Tibetan Terrier puppy ranges from a low of $1,300 to a high of $2,500. This assumes you are adopting from a reputable Tibetan Terrier breeder. Quality Dogs and other sites list Tibetan Terrier puppies for sale. A little research will provide the names of AKC (American Kennel Club) certified breeder some of which will ship the puppy to you, while others require you to visit to acquire the dog. 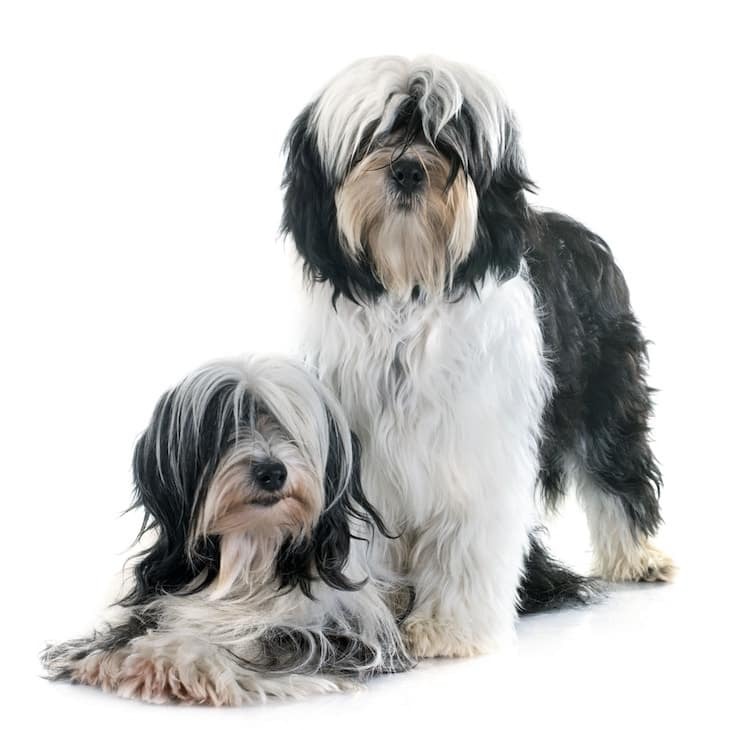 Many Tibetan Terriers on their site have Champion parents. 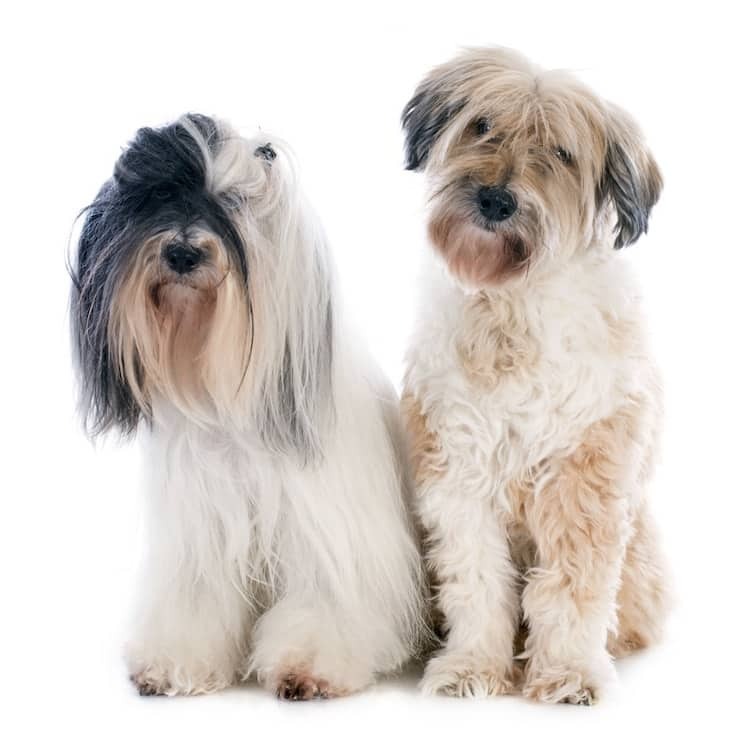 Websites like PetPremium.com list thousands of dog breeders in the United States and you can search the site by city or zip code to find Tibetan Terriers. The breeder listing will tell you the location of the breeder and the breeder’s contact information. Other sites, like doggies.com, will provide some background information about the breeder as well as the location, contact information, and photos of available dogs. The Internet is an excellent source of information for Tibetan Terrier rescue and adoption dogs. Rescue and adopted dogs can save you money, and you will give an unwanted dog a home. Sites like Petfinder.com provide photos and information about Tibetan Terriers for rescue nationwide. Recent listings ranged from Providence, Rhode Island to Marina Del Rey, California. You will be provided with pertinent information as well as the backstory of the rescue dog. These sites may also offer general information about the breed. Websites like AdoptaPet.com list Tibetan Terriers for adoption. You will see listings of Tibetan Terriers in your area, and you can search by size, color, age, and gender. This site is a pet-saving service that is funded by well-known companies like Petco, Purina, and Bayer. With an abundant coat that requires frequent grooming. The breed can be a good choice for people who suffer from allergies. They can adapt to apartment living and they also make excellent watchdogs and loving companions. Next post: Irish Setter Temperament – How To Tell If This Dog Breed Is Right For You?